You can create personal congratulation for your boss or collegue. We can create unusual job gift with special message or name. 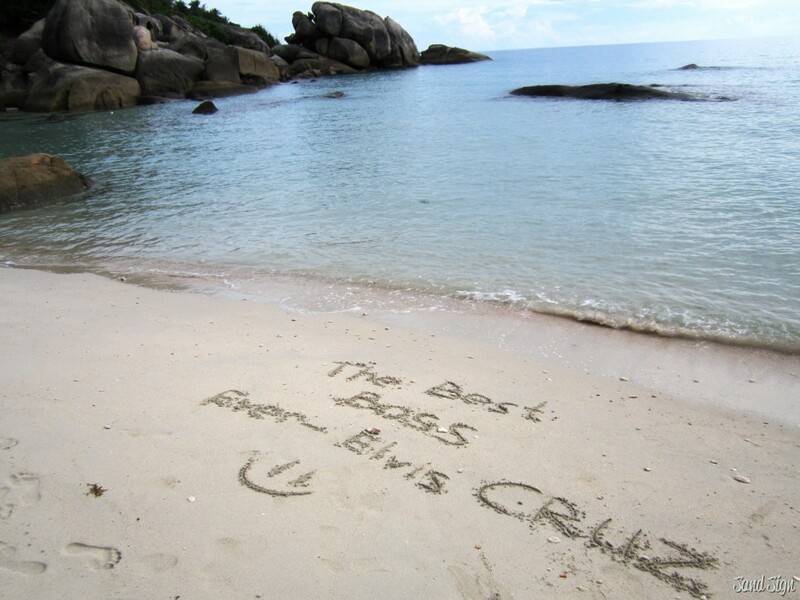 Your words or wishes will be send in tropical paradise where they were written on the best beaches of the world. You will get personalized photos with your sincerest well wishes on the sand and fascinating gift video. This business congratulation will look interestingly and decorate your corporate office. What give to your boss or collegue? You can send your best wishes to the world tour. You can create any unusual text because it's exclusive business gift! Also we can offer corporate logo creating. Give the best business and executive gifts with SandSign. This gift will bring lots of positive emotions long time.